When Dr. Stephen Leeb speaks, smart investors take heed. 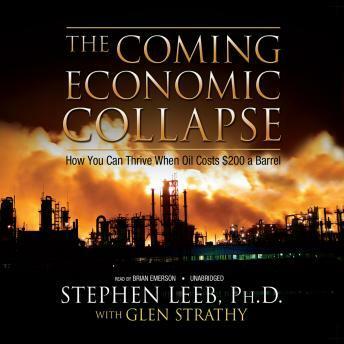 Now, in The Coming Economic Collapse, Dr. Leeb shows that the U.S. economy is standing on the brink of the biggest crisis in history. As the fast-growing economies of China and India push global demand for oil beyond production capacity, Americans will experience a permanent energy shortfall far worse than the one in the 1970s. The result will be severe financial hardship for most people, and once-in-a-lifetime opportunities for investors to become incredibly rich.